Maybe you've been raising laying hens for your family and wanted to expand, or perhaps you're starting fresh with a new flock and already know you want to get into the business of selling eggs. Either way, raising chickens who produce farm-fresh eggs can be a fun and profitable venture. There are just a few things to consider when starting your own egg business that will ensure your success. You'll need to make sure that a market for homegrown eggs exists in your area. And you'll want to see what prices others are commanding per dozen. When looking at other local egg offerings, consider: are the chickens fed organic feed? Are they "pastured," where they spend all day out on the grass, eating bugs and the growing tips of plants as well as chicken feed? You'll want to determine where you will sell your eggs. Many states have exceptions for farmers selling eggs on a small scale. But if you want to go beyond that, you may need to set up a USDA-inspected egg washing facility. If looking locally, how much turnover does your local food co-op or grocery store have for eggs? Many places can't keep stock of good, local eggs, but in some towns or rural areas, there may be an oversupply. As mentioned above, depending on your state and local laws, you may need to set up special facilities to clean your eggs. You may be allowed to, or prohibited from, recycling egg cartons from other companies to package your eggs. If you put the word "organic" on your eggs, you will probably need to meet organic standards, which can be time-consuming and costly. Your county extension agent is a good place to start to find out what local and federal laws may apply to your egg-selling business. The second step after knowing your market is to formalize your marketing plan by writing a business plan. A small farm business plan will not only identify your target market, but it will also look at how you might grow your business down the road, what price to set your eggs at, what costs contribute to producing the eggs, and what profit you can hope to generate. With your business plan in place, you can work backward from the number of eggs you plan to sell each week, to how many chicks you need to get to meet that goal. Figure that during her prime, a laying hen will, on average, produce three to five eggs a week. If you plan to sell 10 dozen eggs a week, or 120 eggs, you can do the math to determine that 25 or 30 chicks will be a good number to start with. Make sure you've done the hard work and that you have a market that can support the number of chicks you are getting for your flock. You can also figure out pricing. What are your expenses each month for feed and other costs? Divide that by the number of dozens of eggs you plan to sell, and make sure you're charging well above your break-even point. You may have to spread the investment of building a chicken coop or putting up fencing over several years to make a profit, though, so don't calculate initial investment when setting your price. Be sure when you choose your chicks, you're picking a breed that is very productive in the egg-laying department, and that also are hardy enough to survive in your climate. If you are in the north, you will want to consider supplementing with light in the winter, so that your hens produce eggs all year round. Raising laying hens on pasture can make for better eggs, and discerning customers now know the difference. Deep, rich orange yolks bursting with flavor is what many now expect - and what you should easily get from hens with access to grubs, grasses, and the ability to roam over several acres to find the tastiest meals. On top of pasture, you'll want to provide high-quality feed and possibly additional calcium for strong shells. You can also supplement with food and garden scraps. How you collect and clean eggs is extra important when you are selling them to others. 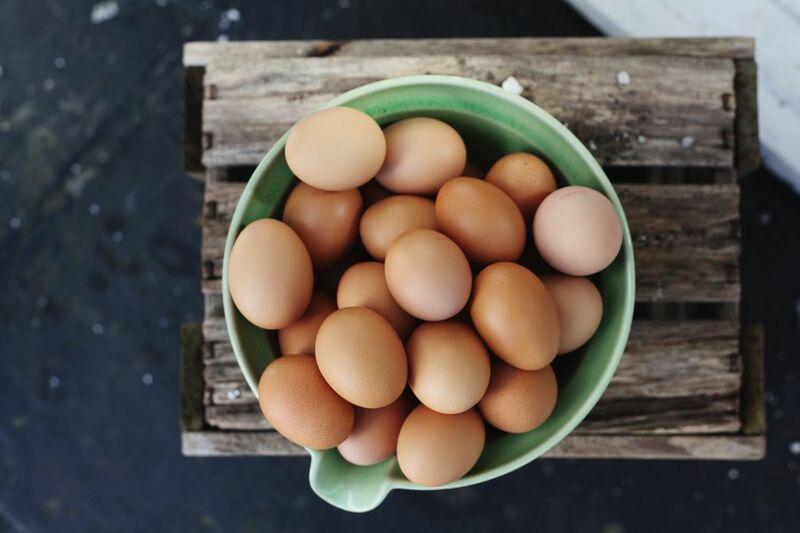 Make sure that you know how to properly clean your eggs so that you minimize the risk of salmonella poisoning. Once collected, it's time to package and sell your eggs. Consider your business plan when thinking about how to package your eggs. A nice label with a graphic logo can go a long way toward selling your eggs over another local brand. Make sure to follow all the requirements of your local and state laws when packaging and selling eggs. With any business, ongoing assessment and evaluation of the success of the business are key. If things are not running smoothly with your egg business, it may be time to reassess - the markets, your infrastructure (coop and fencing), and even whether continuing to sell eggs is the right choice for you. Don't be afraid to reevaluate your egg business from time to time to make sure it's working well for your small farm.